French mathematician, theoretical astronomer and populariser and philosopher of science who influenced cosmogony, relativity and topology; a founder of the Conventionalist school of epistemology, that the laws of physics are arbitrary conventions which simply promote a more convenient description of the world, rather than having any objective content. Sometimes credited with pre-figuring Einstein’s theory of relatvity, this claim is somewhat exaggerated. Poincaré was born into a distinguished family. Poincaré was extremely near-sighted, and frequently ill as a child. He became interested in mathematics during adolescence and attended the prestigious École Polytéchnique in Paris, where excelled in mathematics. Poincaré had an exceptional memory and had cultivated the ability to visualise anything he heard, and was able to perform complex mathematical calculations in his head. 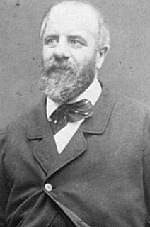 Following a brief appointment in mathematical analysis at the University of Caen, in 1881 Poincaré joined the University of Paris, where he lectured and wrote on mechanics, physics, pure and applied mathematics, probability and astronomy for the remainder of his life. He changed his lectures every year, covering a vast domain of topics. While still in his 20s, Poincaré developed the concept of auto-morphic functions, invariant under a specific group of transformations, a concept crucial to the development of non-Euclidean geometry, and over his life developed numerous mathematical techniques which found application across all branches of physics. In 1906, in a paper on the dynamics of the electron, he obtained some of the results of the special theory of relativity, but whereas Einstein developed the theory from elementary considerations concerning light signalling, like Helmholtz, Poincaré based his analysis on electromagnetic transmission of light through an ether. After achieving fame as a mathematician, Poincaré turned his gifts to describing for the general public the meaning and importance of science and mathematics. Science and Hypothesis, The Value of Science and Science and Method reached a wide public of non-professionals and were translated into many languages. His most significant contribution to philosophy was as founder of Conventionalism, emphasising the arbitrary choice of concepts which simply reflect agreement among scientists based upon consideration of convenience, habit and simplicity. Conventionalism tends to lead to the rejection of the objective content of scientific concepts. A forerunner of the intuitionist school, he believed that some mathematical induction is a priori and independent of logic, and emphasised the sub-conscious in the psychology of mathematical discovery and invention. Further Reading: See Ernst Kolman and Sonya Yanovskaya’s Hegel & Mathematics and Perception Under the Microscope. Official in the Russian Provisional Government. Once Minister of Foreign Affairs, later the vice-chairman of the Central War Industries Committee and also a member of the Board of the Russian Bank for Foreign Commerce. Georges Politzer was born in Nagyvarad, Hungary (currently Oradea, Romania) on May 3, 1903. He left his homeland after the defeat of Bela Kun’s abortive Soviet Republic, settling in France in 1921. In the course of his travels he had met Freud and Sandor Ferenczi in Vienna, and his interest in psychology was to result in the publication in 1928 of his “Critique des fondements de la psychologie” (Critique of the Foundations of Psychology). This work was the first outline of a materialist theory of social psychology, and was one of the influences on Vygotsky in the 1920s. In France he taught in the cities of Moulins, Evreux and at Saint-Maur, all the while active in the teachers’ union. Sometime between 1929-31 (Party sources mention his being accepted on his second attempt at joining) he joined the French Communist Party, where he was in charge of the Economic Commission of the Central Committee. He taught at both the Workers’ University and the PCF’s central school, and was among the founding group of the revue La Pensée. On March 20, 1942 he was turned over to the Nazis and, as threatened, he was executed with a group of hostages on May 23,1942. His wife was transported to Auschwitz, where she died in March 1943. His 1935-36 courses at the Worker’s University were posthumously published as Principes élémentaires de philosophie (Elementary Principles of Philosophy). Politzer is also remembered for having prefigured the Big Bang Theory of the Universe. Born in 1890, Harry Pollitt came from a line of Lancashire working class radicals; his great grandfather had been a Chartist. An apprenticed boilermaker, he was involved in the socialist movement from an early age. Involved in the anti-war movement in 1914-18, he emerged as a shop stewards’ leader of national standing by 1919. He then was at the fore of the successful struggle to prevent the British government supplying armaments to the enemies of Soviet Russia. He played a leading role in the Communist Party in the 1920s and was a delegate from the Boilermakers’ Society to the TUC and the Labour Party conferences. Pollitt and R. Palme Dutt worked closely together to remodel the Communist Party away from the pre-war heritage of ramshackle socialist debating societies towards a centralised, strategic force. Pollitt’s particular take on leadership represented a move away from a propagandist style of work towards organisation at the point of struggle, linking immediate struggles to longer-term objectives. Unquestionably, his great grasp was the importance of the revolutionary movement having mass links. 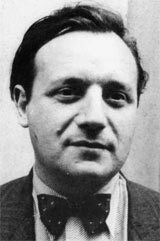 Pollitt was, famously, the long-term leader of British Communists, being General Secretary of the Communist Party from 1929 to 1956, with the exception of a brief interlude from 1939. 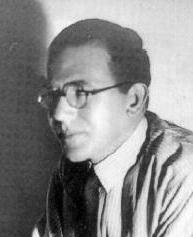 Then, he and Dutt differed sharply over the characterisation of the Second World War as being either an imperialist war or an anti-fascist one. Hitler’s invasion of the USSR in 1941 changed the character unambiguously and Pollitt returned to the leadership. Pollitt was especially linked with the development of the specifically British strategic programme of the Communist Party, The British Road to Socialism. He died in 1960. A plaque dedicated to the memory of Pollitt was unveiled by the Mayor of Tameside on the twenty-second of March 1995 outside Droylsden Library. Further Reading: Harry Pollitt Archive. Pollock’s father was a factory owner in Freibug. Beginning a commercial apprenticeship in 1911 he also began his life-long friendship with Max Horkheimer. After studying economy, sociology and philosophy he obtained his Ph.D. in Frankfurt on Marx’s theory of money in 1923 and participated in the founding of the Institut für Sozialforschung in Frankfurt and along with Felix Weill became the manager of the Marx-Engels-Archivgesellschaft to promote the Marx-Engels-Gesamtausabe (MEGA). After travelling to the Soviet Union in 1927/28 he wrote Attempts at Planned Economy in the Soviet Unions 1917-1927 with which he qualified as a university lecturer and took up a position as lecturer at Frankfurt University. When Carl Grünberg fell ill, Pollock stepped in as Director of the Institut 1928-1930. In 1933, Pollock emigrated along with Horkhemer to London, and on to Genf, Paris and finally New York, where he was Seminar leader and managing director in the Institute for Social Research until in 1950, returning to Frankfurt to re-establish the Institute for Social Research. 1951-1958 he was professor for national economy and sociology at the University of Frankfurt before becoming a full professor. In 1959, he moved to Montagnola, Tessin with Horkheimer where he died in 1970. Colonel, later General. Military Governor of Petrograd under the Provisional Government. Crushed the July uprising. Austrian-born British philosopher; opponent of application of grand social theories to political practice, which he held would inevitably lead to totalitarianism, Popper is noted for his proposition that any theory must be capable of falsification if it is to be accepted as a valid theory; an opponent of the Logical Positivism for which his hometown of Vienna is famous, Popper developed the concept of “Objective Knowledge”, socially transmitted through institutions, practices and social experience as the foundation of knowledge, as opposed to the individualistic approach of many others concerned with the problems of epistemology and the methodology of science. 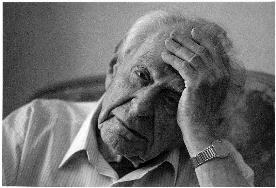 Educated at the University of Vienna, Popper emigrated to New Zealand in 1937, teaching at the University of New Zealand in Christchurch and then to England in 1945, where he was granted British citizenship and lived for the remainder of his life. He lectured in Philosophy at University College Cambridge (1937-45) and in 1969 was appointed an Emeritus Professor at the London School of Economics. He has held a variety of positions and lectured at Universities throughout Europe and America. Popper’s 1945 The Open Society and its Enemies launched scathing attacks on totalitarian ideology of both Left (in the first volume) and Right (in the second volume published later), and succeeded in making enemies for him in just about every direction. Nevertheless, over time, his insistence that social problems are best solved by piecemeal social engineering rather than grand world-transforming crusades, came to descriptive of what most people were doing, and he gained a wider audience from the early 1960s. Popper wrote extensively on the history and philosophy of science, his Objective Knowledge: An Evolutionary Approach, published in 1972 popularised the concept of “falsifiability” as a criterion of validity of a theory, and developed an epistemology which endeavoured to overcome the subjectivism of the dominant Logical Positivist currents. See an excerpt from his 1966 Objective Knowledge. A Founder of the Russian Social Democracy. Member of the Iskra Group, Menshevik. A close associate of Lenin but later broke with him. Also called Starover. Social-chauvinist during World War I. Active anti-Bolshevik in the Civil War. Emigrated 1922 to Paris. A revolutionary militant during the revolution of 1848 he was an active opponent of Napoleon III after the coup of December 2, 1851. A member of the First International, he was elected to the Council of the Commune, and fought on the barricades until the final moments. Sentenced to death after the fall of the Commune, he had already fled France via England, for the US, where he remained until 1880, living in dire poverty. In 1887 he returned to France, but died shortly thereafter. The International wouldn’t become a song until 1888, when musician Pierre Degeyter, scored Pottier’s poem. The French Workers’ Party choir, La Lyre des Travailleurs, published the song which proved to catch on quickly with class-conscious workers throughout France and then onward into Europe. It was adopted as a socialist anthem following the International Socialist Congress in Copenhagen, 1910. This song has been translated into all European and other languages. In whatever country a class-conscious worker finds himself, wherever fate may cast him, however much he may feel himself a stranger, without language, without friends, far from his native country - he can find himself comrades and friends by the familiar refrain of the Internationale. Further Reading: USSR History: Sounds of the Soviet Union: The International. Anarchist writer and editor. After having participated while still a teenager in the formation of a textile worker’s union, in 1881 he was a member of the French delegation to the anarchist congress in London in 1881. 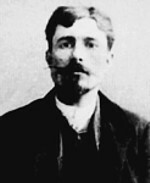 Arrested along with Louis Michel at a demonstration in 1883, he spent three years in jail. Starting in 1889 he edited “Le Père Peinard,” an anarchist newspaper most noted for the virulence of its tone and for being largely written in slang. In 1894 he emigrated to England as the result of anti-anarchist repression in France, but he returned to his homeland after the amnesty of 1895. Further Reading: Emile Pouget Archive. Anarchist and anti-militarist writer. Born in Paris, he was orphaned at 14 and at a young age became involved in the anarchist movement. 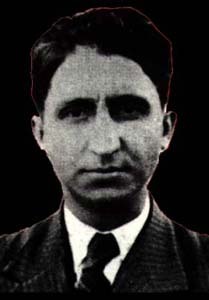 Though he worked at the Grasset publishing house almost his entire working life, and would speak well of it founder Bernard Grasset, even after the war, when the publishing house was seized due to Grasset’s collaborationism, Poulaille’s main interest was in proletarian literature, i.e., a literature produced by workers for workers. In a series of special sections in one of the many reviews he edited, Prolétaire, he published works written by miners, postal workers, and farmers. He was a militant pacifist and also defended Victor Serge when the latter was arrested by Stalin in 1933. Further Reading: Henry Poulaille Archive. Pouliopoulos began his political activity at the age of 20, during the Greek-Turkish war of 1919-1922 when he was sent to Turkey as a conscript in 1920 and where he joined a nucleus of the SEKE (later called KKE, the Greek Communist Party). He was arrested in 1922 for anti-war activity, but was freed with the end of the war. After that he became active in the Veterans movement and in 1924 became the president of the Panhellenic Federation of Veterans. In November 1924 he was elected the first General Secretary of the KKE. In 1925 he was arrested and tried for treason on the question of independence of Macedonia and Thrace, and sentenced into exile after a long trial where he defended himself. He was freed in 1926 with the fall of the Pagkalos dictatorship. Removed from his position inside the KKE, he and other members established the Left Opposition within the party. On June 25th 1927, he published his “Open letter to the KKE” and three months later he and other members of the opposition were expelled. Later they built a new Party, EOKDE, expressing and publishing the views of the ILO in Greece, but Trotsky named another opposition group as the ILO’s Greek section, the Archeiomarxists, a decision Pouliopoulos and his group fiercely criticised. In 1938, after going into hiding, he was eventually arrested by the Metaxas dictatorship and imprisoned in Akronafplia, where he continued his work. In 1943, he was executed by the Italian occupation forces, delivering in his final moments an internationalist speech to his executioners. Amir Parviz Pouyan was born in 1946 in Tehran. Later, his family moved to Mashhad, a city in northeast of Iran. As a high school student engaged in political activities chiefly led and organized by nationalist and religious forces. In the course of his activity he became acquainted with other activists, including Masoud Ahmadzadeh. Pouyan later went to Tehran to continue his study as a university student. In Tehran, he became familiar with Marxism and turned into a Marxist. In 1967, he, as well as Masoud Ahmadzadeh, his friend from childhood, and Abbas Meftahi, co-founded a Marxist group. They group enthusiastically studied political, social and economic conditions of Iran with a focus on consequences of the land reform carried out by the Shah’s regime under the title “white revolution.” The group began translating classics of Marxism and tried to find ways of organizing the working class in its struggle against the regime. Later, the group came to the conclusion that organization under the extreme repression cannot be the same as was experienced by communists in Russia or China. The group finally favored igniting the fire of armed struggle in rural areas and then in cities. The group later merged with another group, known as Jazani-Zarifi (referring to names of its founders) that started fighting in northern forests. The uprising was harshly quelled by the regime. 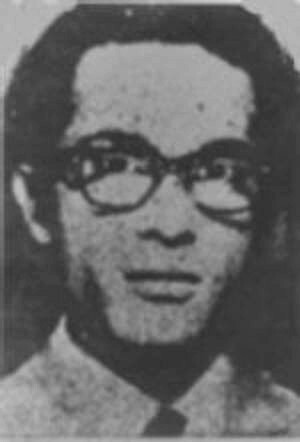 Remnants of the group, including Pouyan, openly declared the formation of the Iranian People’s Fadaee Guerrilla Organization. The secret police of the regime identified Pouyan as a founder and leader of the organization and he went to hideout. The secret police that brutally tortured members of the IPFGO could locate the hideout of Pouyan and invaded it with hundreds of security forces. On 24 May 1971, after an evidently unequal clash, the two guerrillas fought for hours and killed themselves with their last bullets. Pouyan wrote “The Necessity of Armed Struggle and Refutation of the Theory of “Survival" in 1970. In this pamphlet he tries to show that Marxist groups’ inactivity gave the upper hand to the regime to destroy them in the very early stages of their formation and that a continuous assault would help the vanguard of proletariat to survive.